Roy Ferguson, 48, his wife, mum and two children were driven through the night from Aberdeen to Gatwick to then fly on to Greece. A family endured an £1,800, 10-hour and 550-mile taxi ride to catch a flight with 30 minutes to spare after their first plane was overbooked. Roy Ferguson, 48, his wife, mum and two children were driven through the night from Aberdeen to Gatwick to then fly on to Greece. They had been due to fly from Aberdeen to Heathrow and then travel by road to Gatwick to catch their charter flight to Greece. But they missed their first plane because it had been overbooked by British Airways. Dad Roy, 48, said: “The last passengers boarded the aircraft and we were told we would not be getting on the flight, and to go back upstairs to the check-in desk and our bags would be returned to us. 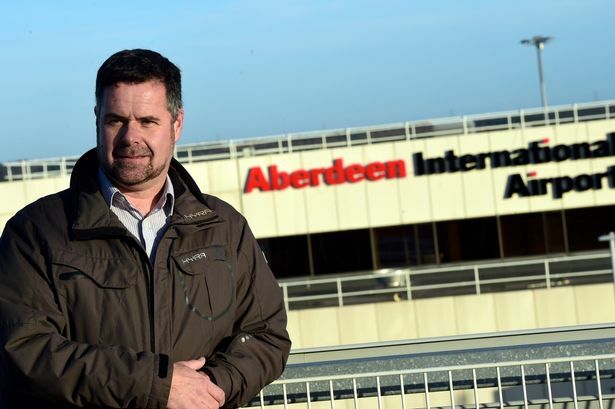 Roy, from Alford, Aberdeenshire, added: “The check-in staff told us that BA routinely overbook flights and we would be compensated for our missed flight. BA said: “We are very sorry our customer and his family were unable to travel on the flight they had booked and for the frustration and inconvenience this caused them. “It is common practice within the airline industry to overbook flights on certain routes where it is known that a number of customers with flexible tickets are unlikely to turn up for the flight.